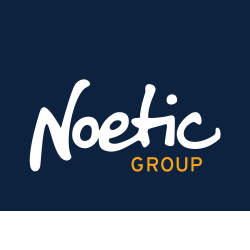 Noetic Group is a professional services firm with a reputation for driving practical, lasting and innovative solutions. We stand by our reputation for tackling highly complex projects through the delivery of signature solutions we develop with our clients. Noetic has worked extensively across Defence, Home Affairs and other national security agencies, delivering enterprise business planning, performance reporting, enterprise risk management and workforce planning. We also provide highly specialised support to defence experimentation, future warfighting concepts, future technology scanning, doctrine and simulation. In addition, Noetic offers industry recognised investment management advice and deliver a comprehensive range of training and education. We stand by our reputation for tackling highly complex projects, and for driving innovative, practical and lasting solutions. In delivering trustworthy and independent signature solutions, we’ve become a crucial interface between Defence, its agencies and the public it serves. We are a unique Australian owned industry capability, working above the line with unparalleled expertise across the defence and national security sectors. Our workforce contains an experienced mix of defence, public service and academic professionals who all share a genuine interest and enthusiasm in working in the national security sector. Our people are our strongest asset and provide professional services that target what we consider to be three essentials of business: optimising current business processes; enabling essential transformation and change; and investing in innovation to build future capability.